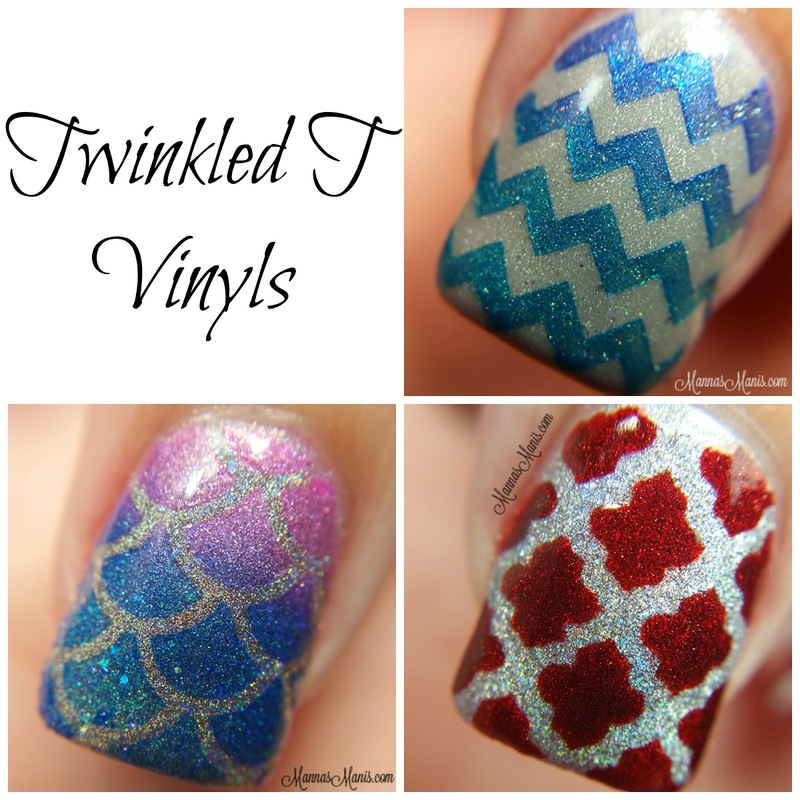 I'd been eyeing full nail vinyls for a while, and I finally took the plunge and bought my first ones from Twinkled T! 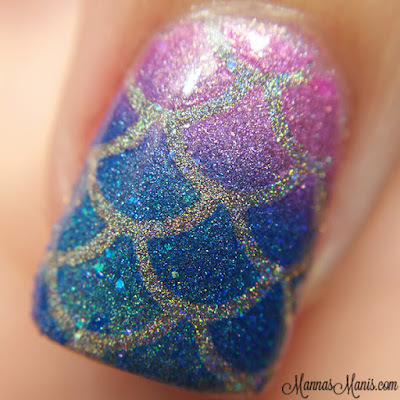 Chevrons, almaz and mermaid scales oh my! Check em out! 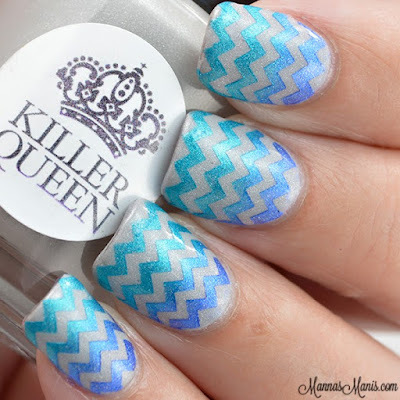 My first chevron mani! I can't believe it took me this long to jump on this bandwagon, now I'm addicted. Base is Killer Queen Varnish Silver Linings and I did a gradient with Cash & Aria from 77 Nail Lacquer. 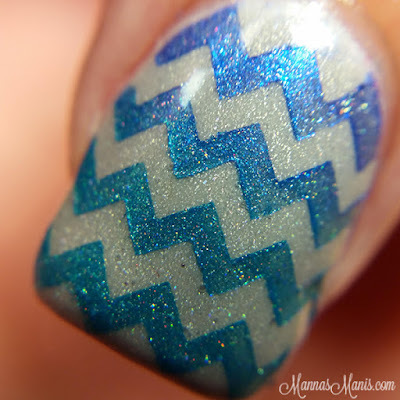 I thought these almaz stencils were super cute and unique! 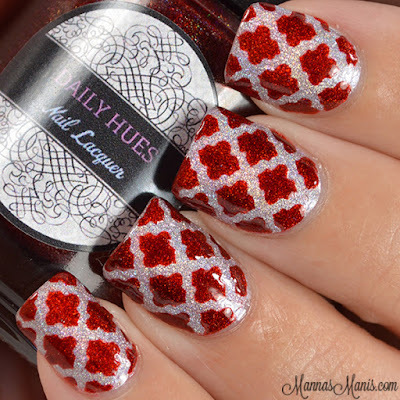 Base is Loreal Masked affair and the red is Daily Hues Nail Lacquer Carol. 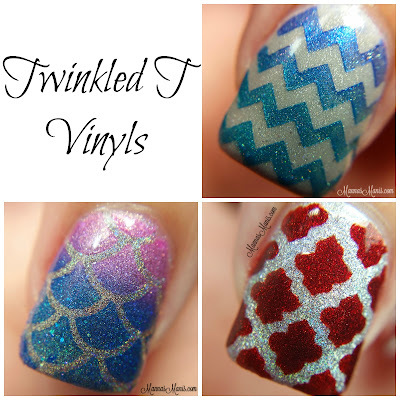 Ahh..mermaid vinyls..gotta love em! I'll never get tired of this look! 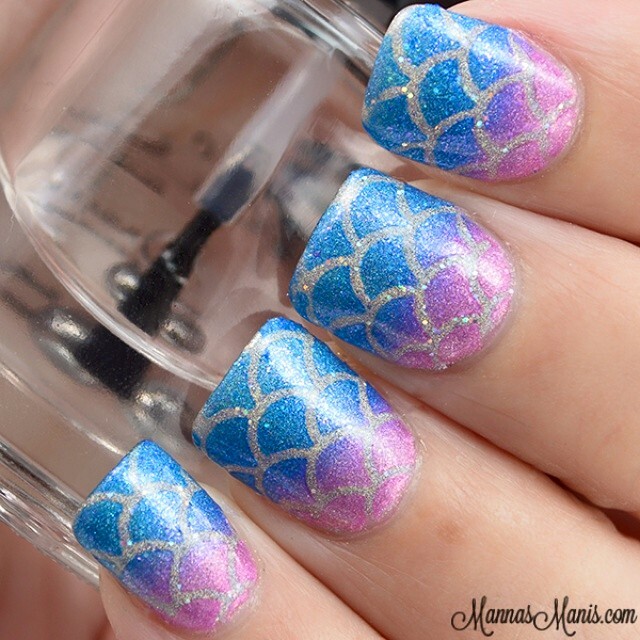 Base is Orly Mirrorball and gradient is done with Lollipop Posse Lacquer Way to go, Mr. Microphone & Too Many Stars, Not Enough Sky.